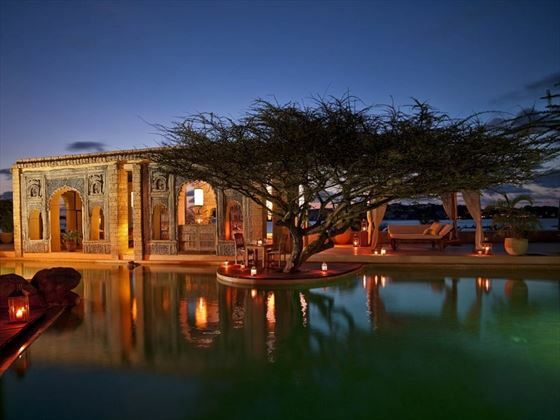 Sitting along a sugary sand beach on Manda Island in the Lamu archipelago, The Majlis is a beautiful hotel with a traditional Swahili feel. 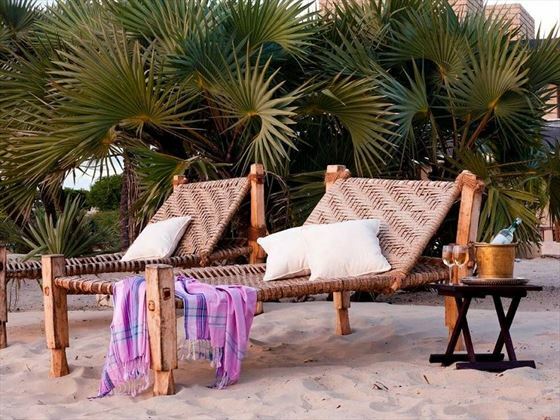 With architecture created with local materials, and a focus on adventure, relaxation and Swahili culture, this retreat offers an authentic Lamu experience. 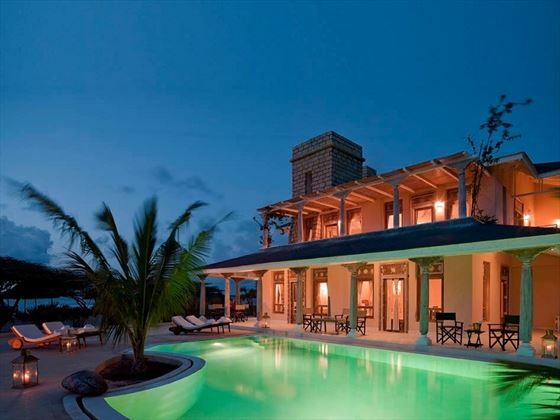 Barefoot luxury is on the agenda here, with panoramic ocean views everywhere you turn, two gorgeous swimming pools, and a scenic restaurant serving up a delicious mix of international cuisines. Fancy a bit of adrenaline? 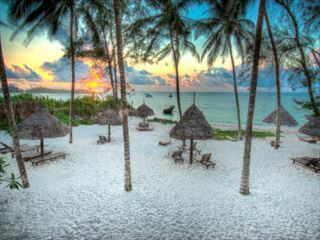 There’s plenty of water sports to enjoy here, including dhow cruises, water skiing, and snorkelling. The décor here is bright and soothing, with lots of natural light flooding through to create a tranquil ambience. 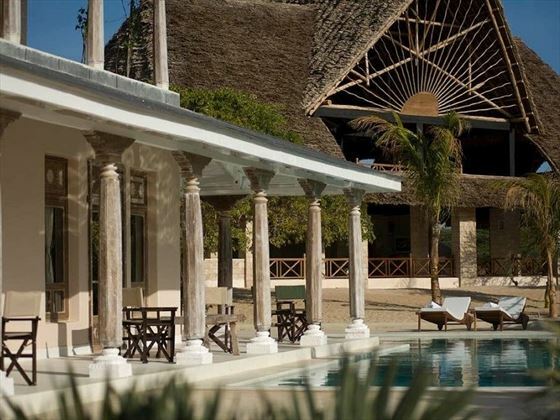 The hotel is built using Lamu’s natural materials, including white coral blocks and hand carved timber, making this perhaps one of the most cultural hotels on the archipelago. 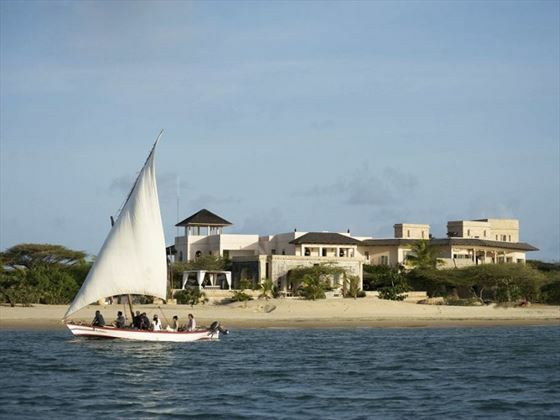 The Majlis is located on Manda Island in the Lamu archipelago, just off the northern coast of Kenya. On your return trip, you will need to overnight in Nairobi. Superior Room – Small, brightly coloured rooms located on the ground or first floor, with garden views. 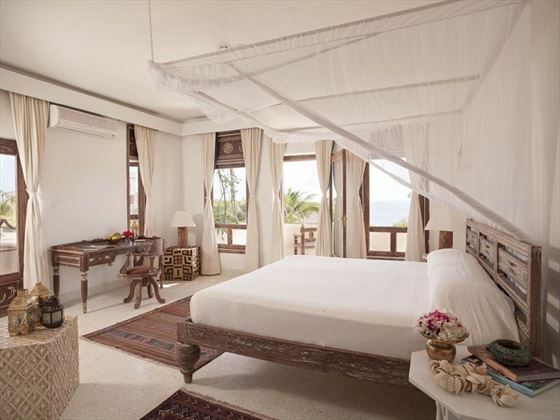 Deluxe Room with Veranda – Pretty ground floor rooms with a large veranda looking out onto the beach. 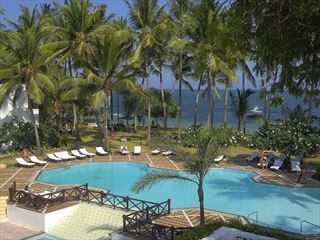 Deluxe Room First Floor Seaview – Romantic first floor rooms with a scenic terrace or veranda. 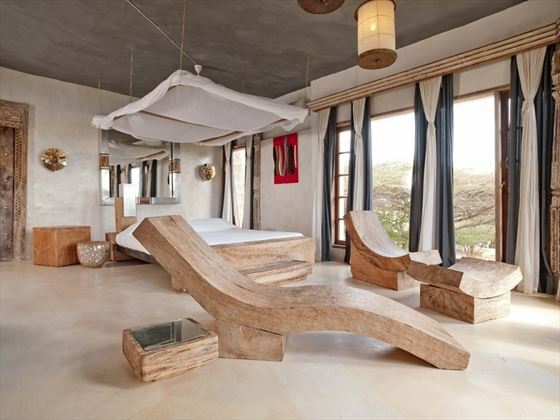 Family Suite – Spacious suites with a double bedroom and a twin bedroom, plus two ensuite bathrooms and two verandas. Located on the ground or first floor. 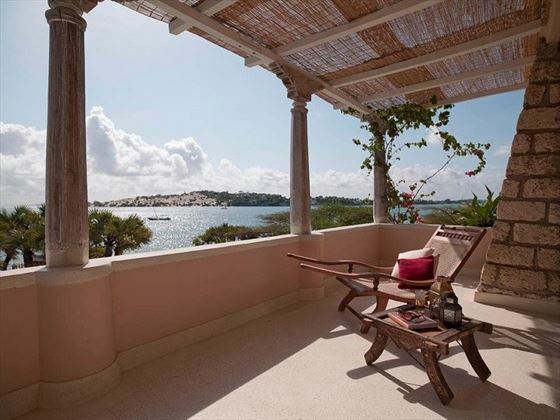 Junior Suite – Rustic suites with a small seating area, and a terrace with sea and garden views. Royal Suite – A 260sqm apartment with two Junior Suites, featuring two ensuite bathrooms, a living room, and a large veranda with ocean views. 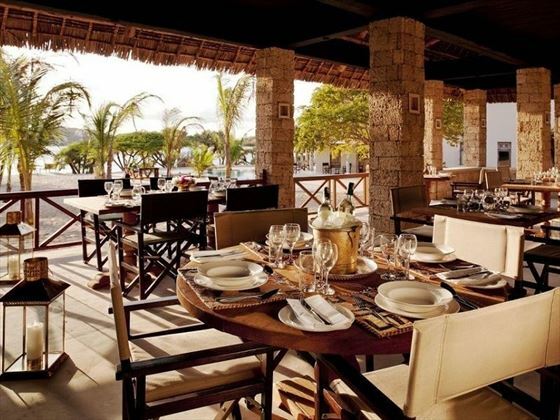 The airy, spacious restaurant offers panoramic views of the bay, serving up a mix of international, Swahili and Italian dishes, including wood-fired pizza and home-made ice cream. 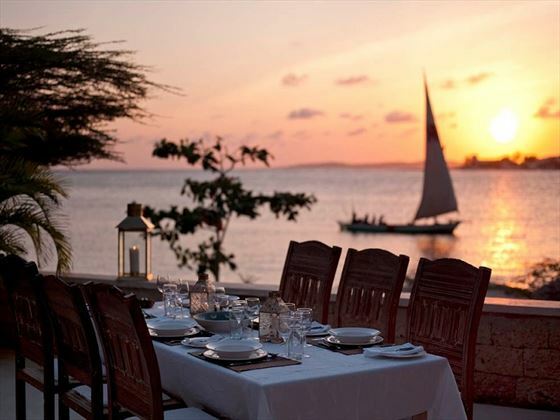 The restaurant itself is built in the local Lamu traditional of casuarinas and mangrove poles covered in long palm leaves. 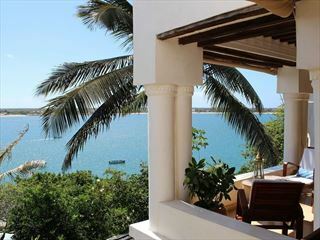 The terrace and bar on the first floor offer phenomenal views over the Ras Kitau bay.